Below you can view all the homes for sale in the Milford Chase subdivision located in Marietta Georgia. Listings in Milford Chase are updated daily from data we receive from the Atlanta multiple listing service. To learn more about any of these homes or to receive custom notifications when a new property is listed for sale in Milford Chase, give us a call at 404-998-4102. Garage Converted Into A Family Room. MLS#6537200. Bhgre Metro Brokers. Bedroom/Media/Office On Main* Master Bedroom W/Sitting Area Converted In Huge Walk-In Closet W/Cedar Chest Features Double Pedestal Sinks & Wainscoating* Mud Room & Cedar Closet In Basement Area *New Hvac * Iron Spindles On Staircase* Huge Back Deck* Flagstone Patio And Walk With Lighting & Firepit MLS#6531511. Robbins Realty. Schedule A Showing Today, As This Home Is Ready For Its Next Family! MLS#8556147. Bhgre Metro Brokers. Schedule A Showing Today, As This Home Is Ready For Its Next Family! MLS#6529889. Bhgre Metro Brokers. 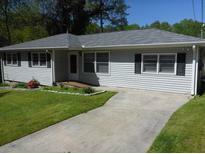 Great Cobb County Home At A Reasonable Price. MLS#6525048. Compass. Under Construction Ready In April 2019 MLS#6520224. Beazer Gain, Llc..
Master Bedroom With Vaulted Ceilings, Double Vanities, Walk-In Closet And Seperate Tub/Shower. This Home Is Move-In Ready! MLS#6508253. Keller Williams Realty Atl North. Swim/Tennis Neighborhood Conveniently Located In Marietta Near Everything! Best Home In The Neighborhood! MLS#6501887. Red Barn Real Estate,Llc..
A Huge Family Room With An Awesome Fireplace Excellent For Entertainment Friends, And Families. MLS#5980946. Virtual Properties Realty.Net, Llc..